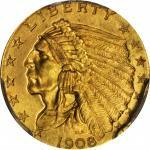 Lot:3035 1799 Capped Bust Right Half Eagle. BD-2. Rarity-5+. Small Stars Reverse. AU Details--Plugged (PCGS). 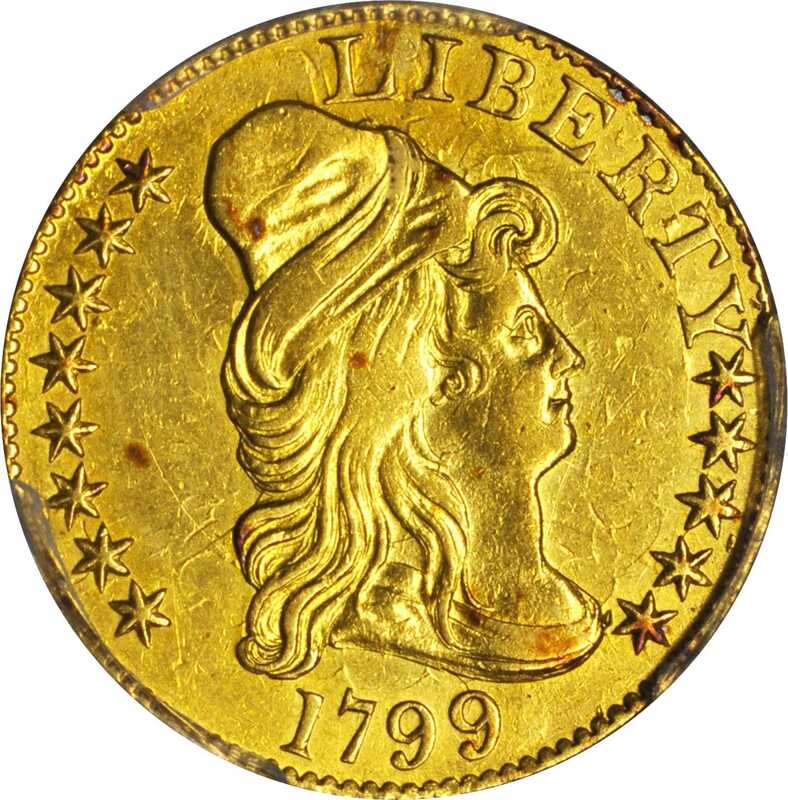 1799 Capped Bust Right Half Eagle. BD-2. Rarity-5+. Small Stars Reverse. AU Details--Plugged (PCGS).A predominantly bright orange-gold example with subtle olive overtones and a few speckles of crimson-russet scattered about. Softly defined in the centers, yet bold to sharp elsewhere, the plug is between the letters LI in LIBERTY and is extremely well executed. A curiously glossy texture further suggests that this coin is a former jewelry piece. This is a scarce variety of the 1799 half eagle, John W. Dannreuther (2006) accounting for only 35 to 45 survivors in all grades. BD Die State b/e.